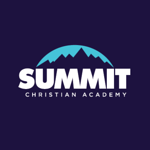 Summit Christian Academy is a private K-12 school located in the heart of the Broken Arrow Rose District. All photos on this site are the property of Summit and are intended for use only by our students and families. No photos may be use without the express written permission of Summit Christian Acadmey.